On our last day in San Diego, some of our girls asked the front desk person where’s a good nearby place to go for breakfast. We were suggested Richard Walker’s Pancake House and so that’s where we headed. We were warned though, it’s a very popular place and there could be long waits. Now when I saw their advertisement on a San Diego magazine, they advertised the Apple Pancake. If you remember, I ate at this place in Kirkland, WA called The Original Pancake House (post here) and they had the exact same thing. In fact, the menus are very similar. I wondered if they’re the same company but they have separate websites, so I’m guessing one is copying the other. But I must say, this place looks nicer than the other one. So now on with the food! O chose the Banana Flap-jacks. In the menu it said that the bananas were baked into the pancakes, but as you can clearly see that’s not the case.. She said that they were good. We all tried a piece and the pancakes were nice and fluffy. Since we were down in San Diego, where there is a prominent Mexican population and restaurant scene, I originally wanted to try a Mexican restaurant. However, some of my companions said that Mexican cuisine smells, so they didn’t want to try it. So to please everyone, I had to pick something else. I thought Spanish cuisine would be similar enough (although they are VASTLY different), just to satiate my craving for it. 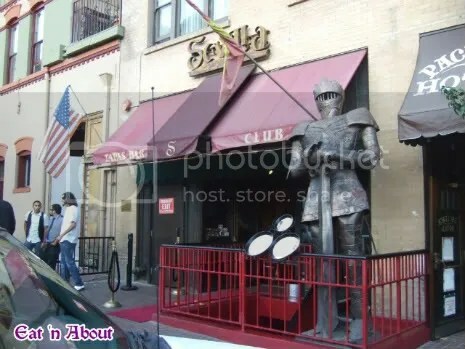 So in the end we picked Cafe Sevilla. Ooh interesting story. Like most Downtowns, their is teeming with one-way streets. O and I dropped off the other three and went looking for parking ourselves. We were EXTREMELY lucky and found a metered parking spot….but it was parallel parking on the LEFT SIDE OF THE STREET!!! Parallel parking is hard enough, but with a strange car, in a strange town, even harder. But we managed. We were about to do one final maneuver when a guy walked by and asked if we needed help. I was skeptical at first because I wasn’t too keen on letting as stranger drive our rented car…what if he drove off with it! But O already agreed so we let him. Thankfully everything was fine. 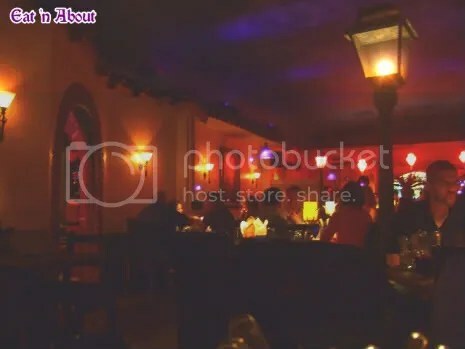 Boy was this restaurant dark. Please excuse the terrible photoshopping but I had to brighten the pictures to be able to see anything, so please bare with me. This place requires you to leave your credit card number though to make a reservation, and if you’re a no show they’ll charge $20 to the card. Needless to say we timed ourselves pretty well at San Diego Wild Animal Park. They also don’t seat you until your whole party is present and ready to be seated. Our server though, was extremely helpful and nice. She gave us lots of suggestions and she sounded Spanish, so to me she must offer authentic advice! 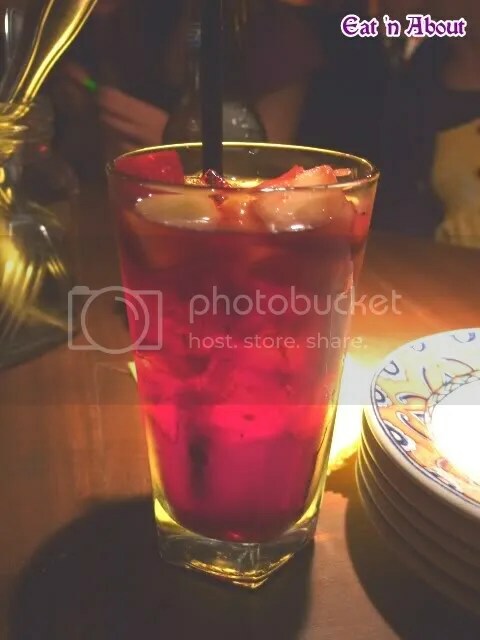 I suggested that we order a pitcher of Sangria to share, and what a good idea it was! The Sangria was wonderful!!! It was potent though. As I was driver I only drank half a glass. I’m responsible y’all! Our second day in San Diego was pretty eventful. We managed to fit in Sea World AND a few hours at one of the many beautiful beaches they have there. Needless to say, we had to wake up pretty early for this. Seeing the beautiful orcas were worth it though. 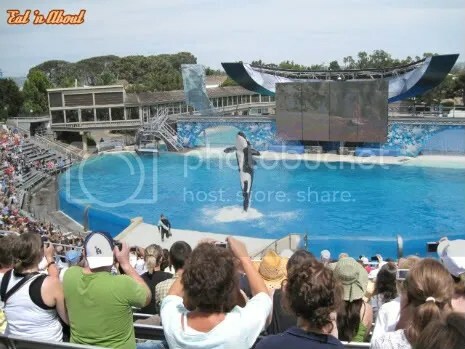 I loved every minute of Sea World. I was especially thrilled to go through a tube-like aquarium where you have sharks and other fish swimming above and around you. 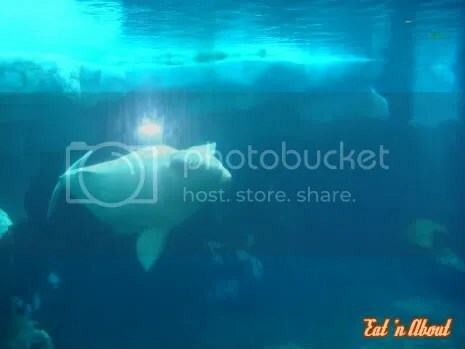 That part was really the main reason why I wanted to go to Sea World so badly. Afterwards the Mission Bay beach, which was just a few blocks from Sea World, was equally awesome. 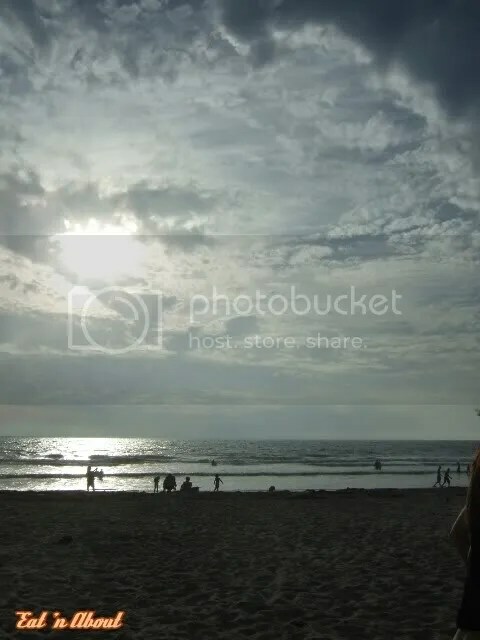 The weather great, and the sand was just wonderful. The water was cool but not cold. We had lots of fun being foolish and taking goofy pictures. We also had a froyo break but I had too many things in my hand I wasn’t able to take pictures of the place. The froyo concept was like Yogurt Escape but this place was much smaller. The froyo was icy too. We had originally planned to have dinner on Coronado Island. However, the time we reserved for dinner and the time the last ferry takes us back to the mainland didn’t quite matchup, plus the restaurant is again on the other side of the island from where the ferry is, which is 10 blocks away, so we ditched that plan and had dinner at a place near our hotel instead. 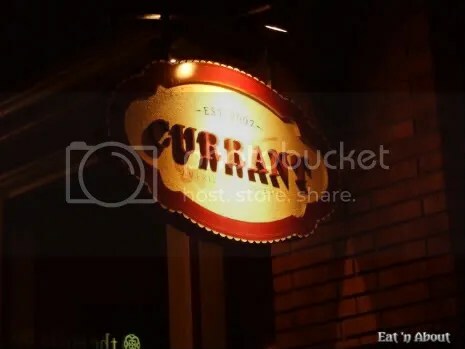 Earlier on our walk to the ferry terminal, we passed by Currant Restaurant which is the hotel restaurant of historic Sofia Hotel. The menu looked not too expensive, and the decor looked really nice, so we decided to have dinner there. 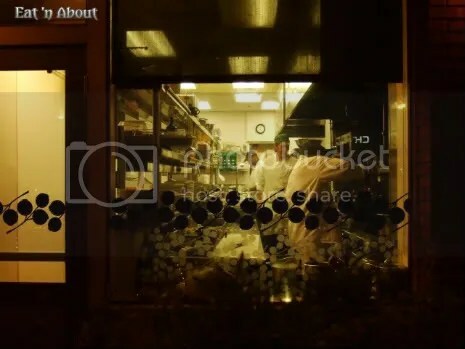 It’s interesting because they have a window from the kitchen that’s open to the street, so you can actually see what’s going on in there if you really wanted to. The greatest part of the restaurant really is in the decor. It’s one of those dark ones and it feels really high-end and intimate. 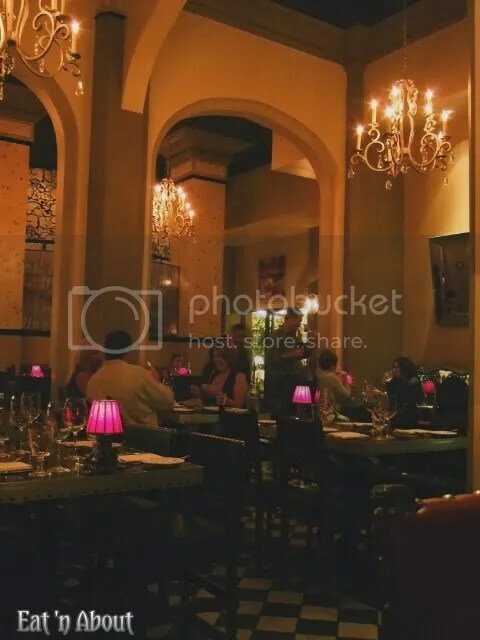 I especially liked the chandeliers that add a sophistication to the overall ambiance. Service was good at the beginning. Our server however jokingly called us “princesses” afterwards cuz apparently we have too many requests? Not sure if a server’s supposed to say that. We were afraid to have too many requests afterwards. We took a bus from the ferry station to the hotel earlier (they’re at different ends of the island) and while on the bus, M saw a frozen yogurt shop that her manager has mentioned to her. M made a note for us to visit it on our way back. So after visiting the Hotel Del Coronado, we walked around Downtown Coronado for a bit, while searching for the froyo shop. It took a while but we found it! 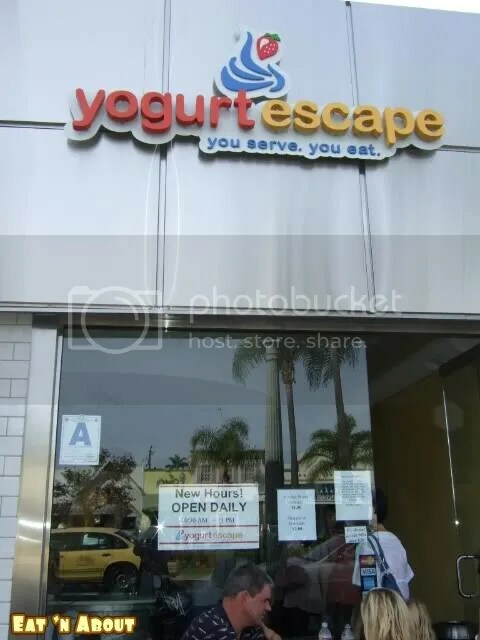 Yogurt Escape seems to be a San Diego thing, since all their locations are within San-D at the moment. It was a small shop, nothing like what I’ve experienced here in the Lower Mainland. But it has an interesting concept. The concept is that it’s self-serve style. You choose your flavor (or flavors) and topping (or toppings!) and pay for how much the whole thing weighs. It only cost $0.39 per oz. 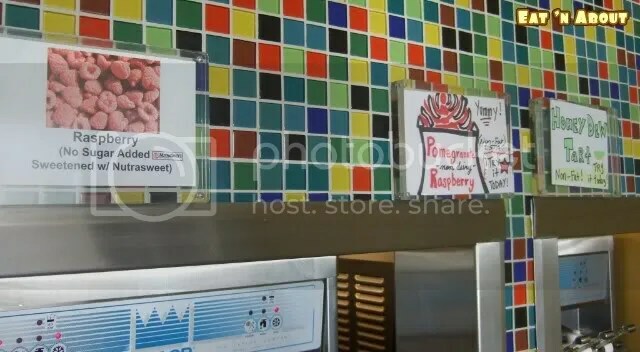 The flavors they had currently were Sugar-free Raspberry, NY Cheesecake, peanut butter (tasted like reese pb cups), Low-fat Strawberry, Vanilla, Cookie ‘n Cream, non-dairy Pomegranate Raspberry, and Honey-dew Tart.